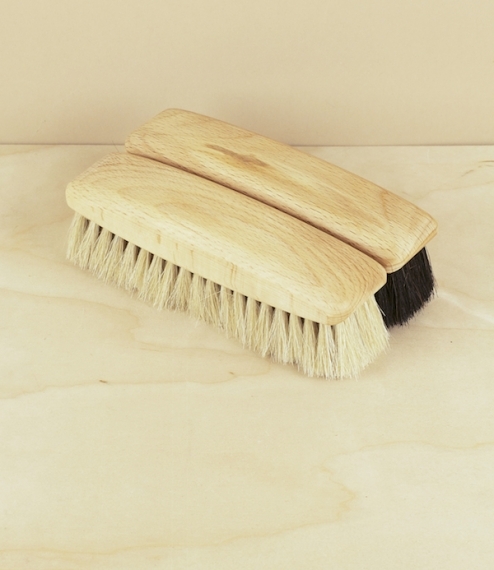 An oiled oak brush with stiff coconut and tampico fibres, for the cleaning of dirt off shoes prior to polishing. 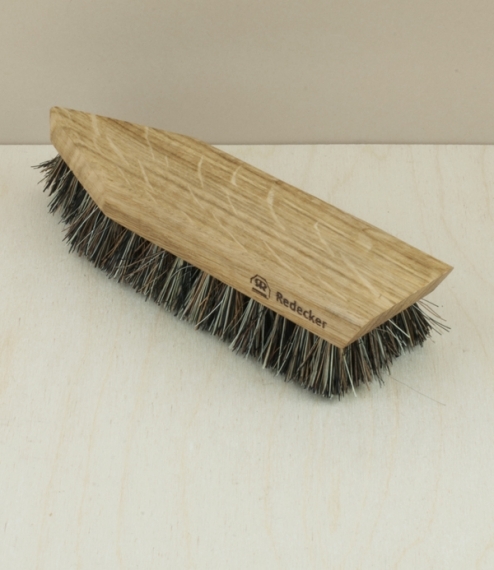 The wooden point at the front is for cleaning the welt, while the bevelled back edge is good for the soles. The strong plant fibres are effective at removing dirt from the upper part and crevices. 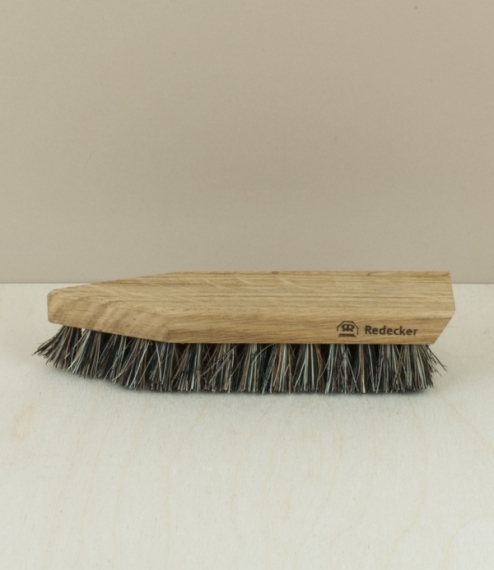 From a small family business in Germany who have been hand making brushes using traditional methods since 1935. About 19cm long.